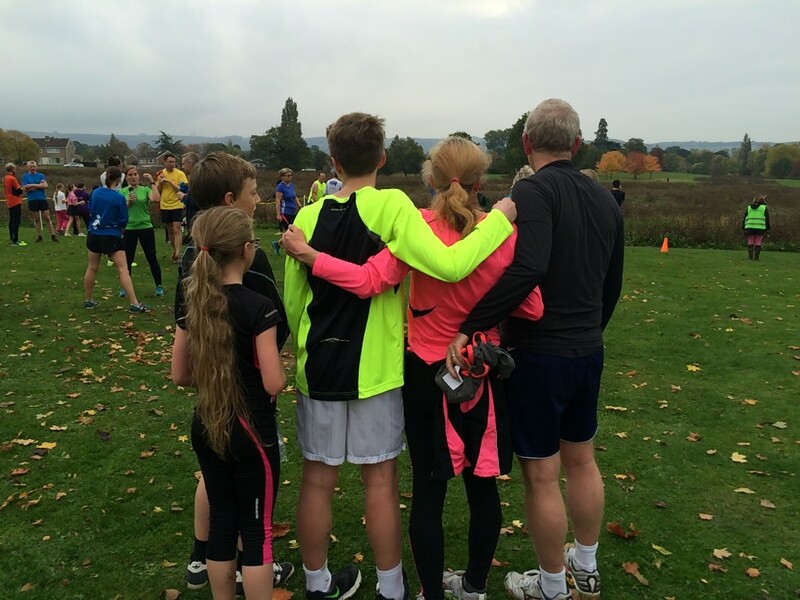 A few weeks ago, while I was away at the MAD Blog Awards, my husband managed to convince both boys to join him and my daughter on the Parkrun. Ever since, I’ve been trying to persuade them both to join us again. While my eldest had done a couple of runs, alternately encouraging daughter to beat her PB and running with the sole purpose of irritating her, we haven’t managed to drag my younger son out of bed. But the other day it happened! I’m not sure if it was my eldest’s friend coming round early in the morning to join the Parkrun party, if my son was feeling sufficiently rested or if his competitive spirit took over, but my young son decided to join us. For the first time in ages, it was my turn to run on my own (under 11s always have to have a grown up with them and we take it in turns to run with my daughter). I was looking forward to running fast, putting my orthotic insoles to the test and trying to beat my PB. My son’s friend and I both had our eye on the 24 minute pacer to help us. I set off quickly, but not so quickly that I didn’t lose sight of both the 24 minute pacer and my son’s friend almost immediately. But I was running well and my leg felt comfortable, thanks to all my exercises and the magic insoles. I was about half way round when I felt this sudden panic about my younger son. At 11, (as he was then – he’s just turned 12) he didn’t need to have an adult running with him, but I wasn’t sure how he would get on with running on his own. Although he’s a big, strong boy, he is actually the most nervous of my kids in some situations. He was also feeling cold before the race started and feeling cold is always bad for my son. But no sooner had I panicked than I looked up and saw him in the distance. And not just him. There was my husband, my daughter and my eldest (doing the strange slow run which shows he is regulating his pace specifically so he can run alongside my daughter and annoy her). And not just them. There was my daughter’s best friend and her dad. I love running with my daughter’s best friend’s dad. He is so positive and encouraging with the kids. But my daughter and I only run with him when he’s running with his 7 year old son. Because my daughter’s friend is too fast for my daughter. So I panicked a bit again. Would my daughter push herself too hard trying to keep up with her friend? My app was telling me I was on course to beat my PB, but I didn’t. I was actually 30 seconds off it. My son’s friend had beaten me by three minutes and his PB by two minutes. There’s no way I would have ever managed to keep up with him. I went to wait for my family to finish. The first person I saw was my younger son. And he was sprinting. He sprinted all the way to the finish line. He was followed by my eldest and my husband, with my daughter and her best friends seconds behind them. The two girls desperately tried to beat a lady running with a dog, spurred on by both me and my daughter’s friend’s dad, but the lady with the dog was having none of it! They sprinted to the finish line, though, and it was lovely that my daughter’s friend let my daughter cross the line before her. She was running much slower than usual, but she knew my daughter was close to her PB, so it meant much more to her to cross the line first. The Parkrun results emails, which come through about lunchtime, are always a real highlight of a Saturday. We digest all of the information in our own emails, then go on to the results table to analyse them further! Like me, my daughter didn’t beat her PB, but we both came pretty close. I cam 4th in my age category, which is always the big thing for me and my daughter came 2nd in hers! She usually comes 5th, so that is a real achievement for her. Both boys beat their PB, completing the run in under 30 minutes, with my younger son finishing 18 seconds ahead of his brother. I think they both have the potential to knock a few minutes off their time. I was very proud of my family for their times, but mainly I was proud that they all managed to get out of bed and do some exercise on a Saturday morning! Here’s hoping it’s not the one and only time it happens. Sounds like it was a really good day and definitely hints at you both beating your personal best in weeks to come yet! Thanks very much. I hope so! I’m sure my daughter will beat hers. Thanks very much. It was just great to get the whole family out and I’m sure we’ll beat the PBs soon enough! Thanks very much! My daughter and I have loved it for a while now, so it’s great to get the rest of the family on board too. It’s brilliant knowing you’re up at a good time and have already done some decent exercise by 9.30am! Thanks very much! Now that football has switched to Sunday I’m hoping it’s an experience we can repeat regularly. Awww fantastic! What a great way to get out and about with your family. Thanks very much, I think so! I’m hoping I can persuade them all to join us regularly from now on. Here’s hoping you can get your brood out again soon! Thanks very much! I really hope we can keep up the momentum. Sounds lovely and you must be very proud of them. I am trying to encourage mine to do the Parkrun but they are not yet convinced. What is a 24 minute pacer please? It took a while to convince my lot – it’s the early start they don’t like! A 24 minute pacer is someone who runs the course in 24 minutes and wears a bib so everyone can spot him/ her. If that’s the time you’re aiming for, you stick with him! They often have pacers for everything from 22 to 32 minutes. How wonderful that you’ve all inspired your youngest to follow in your footsteps – literally! You really are a great example and letting him find his own (fast) way will, hopefully, really encourage him and you can continue this sport as a family, like you do. Brilliant to read. Can’t wait to hear about how he’s beating all his class at school and he’ll be the one dragging you all out of bed on a Saturday! 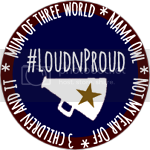 #Loudnproud. Thanks very much! I do really hope they all keep it up. It will definitely help how they do in school sport. Would love to see the day the boys spring out of bed enthusiastically! well done all of you. I would like to di it but never get out of bed in time! Thanks very much 🙂 Getting out of bed is never a problem for me! Thanks very much 🙂 It’s the best way to start a Saturday! That’s brilliant that you all took part as a family. You must be so proud of your children too! That is great that you all are enjoying fitness together as a family! I look forward to hearing more of your fitness journey in the future!